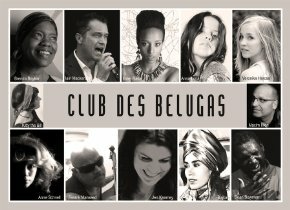 Welcome to the musical universe of Club des Belugas! 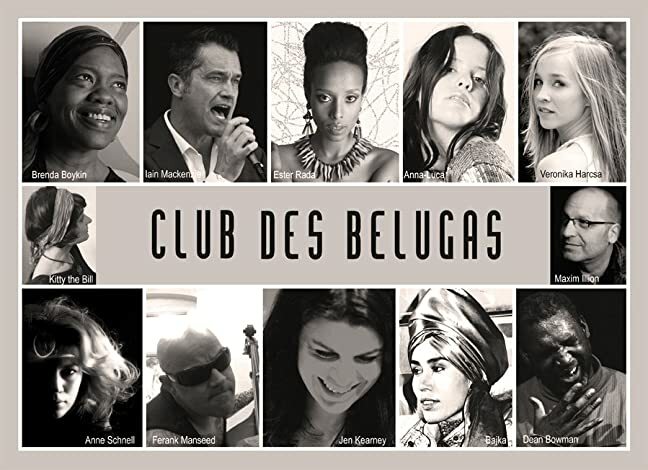 Club des Belugas is a German constellation of musicians specializing in Nu-jazz and contemporary Lounge. These basic ingredients are combined with a variety of other styles of music, including Swing, Latin and Soul. Club des Belugas create atmospheric music, and the atmosphere varies with music styles. Maxim Illion and Kitty the Bill represents the conceptual core of Club des Belugas. The two play central roles in the constellation’s creation of music and studio work. Maxim participates in live performances, but only in the subgroup Club des Belugas Orchestra. Kitty, who is described as very shy, does not participate in any live performances. Both play keyboards and Maxim in addition, bass and percussion. Kitty writes music for Club des Belugas, but also for other musicians and her own albums. The constellation began their “operations” in 2002 and the last of nine albums came in 2016, called Nine. In the German Wikipedia’s article about Club des Belugas no less than 23 members are mentioned. At studio recordings 19 of these play in various combinations. Two different configurations play at live performances. Ten members of the studio configuration and yet another musician play in Club des Belugas Orchestra. In Club des Belugas Quartet a vocalist from the studio constellation sing together with three musicians who do not participate in any of the other constellations. Thus, there is a large variation in terms of musicians and music styles. Is there any musical core at all – something that creates profile and identity? Maybe – maybe not, but everything is really good. Listening through Club des Belugas’ nine albums is like making a journey in an exciting musical universe. There is a great variety, but even if we visit very different musical destinations my impression still is that we all the time travel in the same spacecraft – steered by Maxim and Kitty. Join in on a tour to some of the planets!